In the words of everyone’s favourite ‘nine to fiver’, Dolly Parton, “Find out who you are and do it on purpose!”. Inevitably, there will be hurdles along the way to achieving your dream, and barriers to challenge your success. Accepting that some of these will happen to you is the first step to overcoming them; planning your route through them is the next. Have you always dreamed of making it big in a certain career or area, envisaged yourself in a particular job, known that you are meant to follow a path from an early age? Perhaps you had a childhood dream – carried through to adulthood – of being a police officer or a business owner? We often hear that pin-pointing what to do with your life can be the decision to make, so if you already know what it is you want to do, then you are one step ahead of the game. But rarely is life so straightforward. Having a dream is one thing, achieving it is another thing altogether. Here at FindMyWhy, we understand completely the many barriers and hurdles that are out there to make life difficult when you want to achieve something. We also know the power of thinking big and building resilience to get you where you want to be. Our free FindMyWhy psychometric evaluation will help you to identify and articulate your unique strengths and core values, offering you tangible support when the going gets tough and you think of giving up. 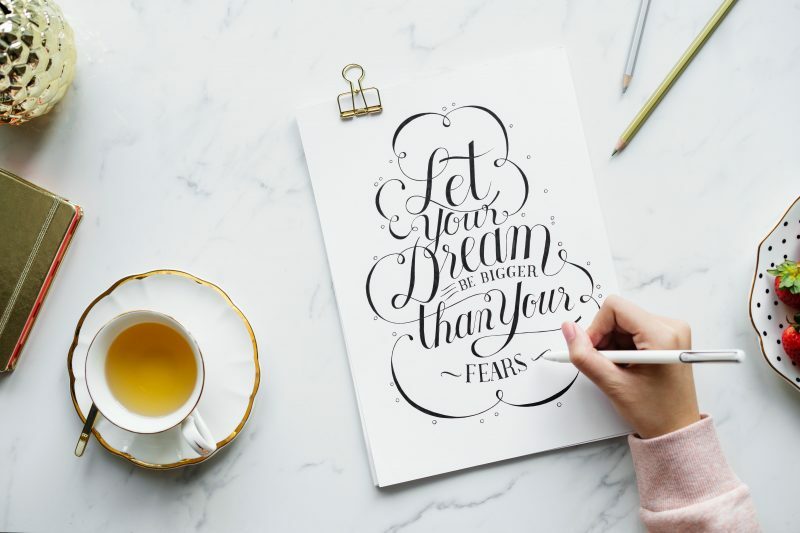 It will serve as a powerful reminder of who you are, what you are capable of, in addition to providing insightful advice on how to make your dreams a reality. The insight you gain from FindMyWhy is the starting point for a clear roadmap to your dream career. Firstly, you will have to plan ahead for the education and/or vocational qualifications needed to pursue your dream job. This may go back to which subjects you choose at school or in higher education, or you may be able to enter your chosen career with a vocational course or post-graduate qualification. Whatever the case, it’s vital to forward plan as gaining formal qualifications can take months, even years. You may also need time to save up for enrolling on courses if you are paying for them yourself, or find a company that may be willing to sponsor your training – although this often involves proving your worth first, or vying for a place on a competitive scheme. Secondly, you will need to research the type and volume of experience necessary to enter into your dream job. You may need to undertake a work experience placement or year in industry before you can even be considered for a permanent job. Or perhaps you can work part time whilst studying to build up a bank of experience or use some of your existing professional experience to demonstrate your interest in and suitability for that career choice. This will certainly need to be taken into account from a timescale perspective and may even rule out or force a re-think for some careers, from a financial and/or practical perspective. Thirdly, you need to plan your career trajectory. It’s often the case that embarking on a new career means starting at the bottom. This applies equally to school leavers and graduates with little career experience as it does to those who have already gained professional experience in a different or unrelated sector. Going back to learning the ropes can be challenging if you’ve already been a step or two above entry level, but it’s important to remain humble and keep an eye on the end prize. We all have to start somewhere, after all. Once you’ve planned your entry route, it’s time to consider how you will overcome the inevitable hurdles that you meet along the way to achieving your career goal. These are many and varied but here we explore some of the most common. Examples include not having the right qualifications or experience of the role, for example, dreaming of becoming a doctor without a medical degree, or wanting to launch straight into a job as a high flying journalist with no real writing or editorial experience. Perhaps, geographically, you are in completely the wrong location and will need to relocate in order to fulfil your dreams. But there are also less obvious barriers: although it’s illegal to discriminate on the grounds of age, some careers do have a minimum (and occasionally maximum age limit) that is justifiable for health and safety reasons (all military roles, the police and the fire service are just a few examples); or the length of the compulsory training programme means that it’s unlikely anyone will reach a certain level without being above a certain age bracket (law, medicine, teaching). This needs to be taken into account when planning career progression and particularly in relation to projecting realistic timelines. Perceived barriers may also crop up to present new challenges. Perhaps your career choice has a heavy gender bias, or a common racial or socio-economic profile. You may be treading new ground by pursuing this career (and unwittingly putting yourself into the limelight as a test case or guinea pig). This can provide additional pressure to succeed and without a precedent or any identifiable role models to provide inspiration or to prove that it can be done, it may be hard. But being the first is not always a bad thing and whilst it may be a consideration and something you need to prepare yourself for, it by no means rules out that particular career as an option. Then there are the family, friends, acquaintances, and sometimes even those you barely know, who all have their two pennies’ worth of advice to throw in about your career choices. Often this is well-meaning and comes from a good place; parental figures may fear failure for you (and indirectly themselves as parents) if your career does not go well, particularly if you are planning to break into a notoriously competitive industry, such as performance arts or professional sport, where the odds are that you will not achieve immediate success and may well not make it at all, despite a high level of natural talent. Unfortunately, there are industries that require a large slice of luck in addition to talent and determination make it. Family figures may apply pressure to have, or even pursue, a ‘back-up career’ which can quickly become your daily bread and butter, and the thing you unintentionally ‘settle for’. Alternatively, there may be pressure to join a family business or follow in the footsteps of generations before you by entering into a chosen career. Perhaps those around just don’t see your commitment and purpose in wanting to achieve something, particularly if the goal you aspire to achieve is out of their comfort zone or something they don’t truly understand because they have little or no personal experience in that area. With so many reasons NOT to do something, it can be tempting to play it safe – for fear of putting yourself out there and failing miserably. The key here is to challenge yourself to remember all the reasons you wanted to follow that particular career it in the first place. What was it that set you on that journey, that sparked something in you? Remembering your core purpose and your instinctive drive to follow this path is what will keep you going in the face of adversity. This is about staying true to yourself and your values. Making connections and speaking to people who have already made it in that field will also help immeasurably in terms of answering questions, gauging how the reality matches up to your expectations and hearing first-hand about how others have overcome hurdles and barriers in their route to success. Even if you think you have heard it all before, take time to listen to those with greater experience and first-hand knowledge of the career in question. Good mentors are worth their weight in gold. Previous Post The World’s Your Oyster Next Post New Job? What Could Possibly Go Wrong?